Almost half of the United States is devoted to farming, and soybeans are the largest crop grown on U.S. soil. Sourcing U.S.-grown ingredients, like soybeans and soybean oils, is becoming increasingly important. Consumers are asking for cleaner labels and trust U.S.-grown products. 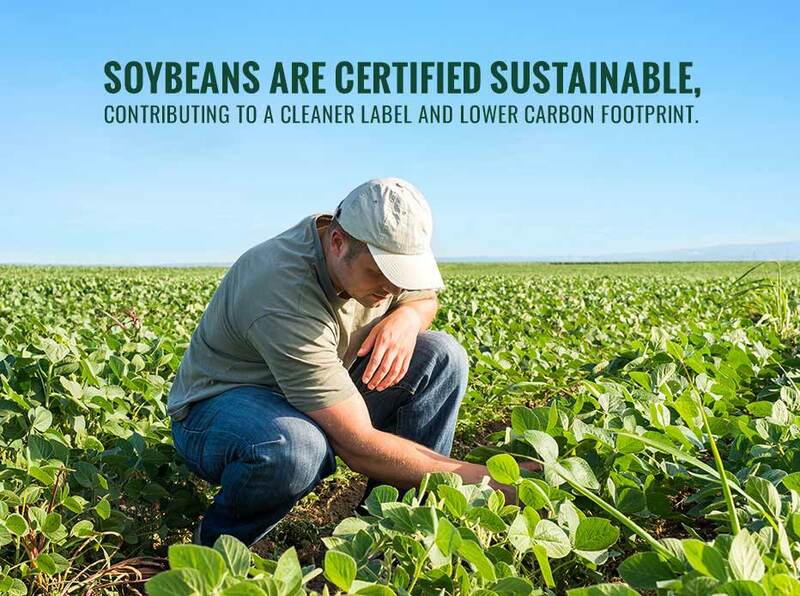 As stewards of the land, U.S. soybean growers employ sustainable practices such as crop rotation, reduced tillage and water nutrition management to boost crop productivity and ensure that future generations have rich soil to grow their crops on. By leveraging U.S.-grown soybeans’ shorter supply chain, the food industry reduces its carbon footprint and transportation costs. acres of U.S. soybeans means soybean oil is always readily available to meet your ingredient needs. reﬁning facilities for U.S.-grown conventional and high oleic soybean oil, compared to other oilseed processing facilities. them at the forefront of the farming industry.